His clients have included Citibank Cards, Emirates Airlines, UPS, Aon, Aviva, Reed Elsevier, British Council, Mazda, UPS and Merrill Lynch. 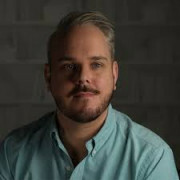 Rod is the Service Design Leader at Fidelity International, tasked with building organizational capability in the service design discipline in order to improve the customer experience. Prior to joining Fidelity in December 2015, Rod worked as a CX consultant, at Mulberry consulting, working on engagements spanning CX strategy, journey mapping, CE metrics and experience re-design. 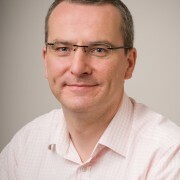 Before this, Rod worked at the global insurer, Aviva, where he established and embedded NPS and sponsored and delivered customer journey mapping across the business. Rod is a founding member of the Customer Experience Professionals Association (CXPA) and a Certified Customer Experience Professional (CCXP). 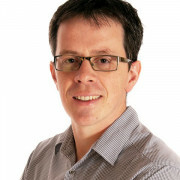 Stuart is an international researcher and marketing professional, with expertise in brand, customer experience, innovation, employee engagement and business strategy. Stuart is focused on CX programme design, customer analytics, brand experience and helping business leaders develop a customer-centric culture. 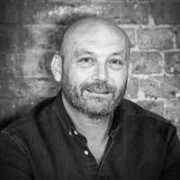 Stuart is a regular judge at the UK Customer Experience Awards and contributes articles and white papers about customer strategy to CXM, CMO.com and WARC. Stuart contributed to the book “Humanizing Big Data” by Colin Strong and published by Kogan Page (2015). 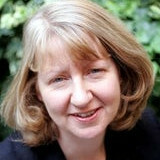 Prior to Phoenix MRC, Stuart was a divisional director at GfK and a director at J.D. Power. 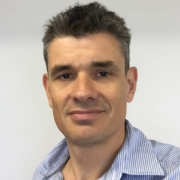 Stuart holds a MBA in Strategic Marketing from Hull University Business School and a bachelors degree in Organisational Psychology from The University of Cape Town. Erik works at strategic branding firm Siegel+Gale addressing business transformation through disciplines ranging from customer experience to digital service design. Since a strong brand is inseparable from a great experience, Erik constantly questions how users interact and communicate with brands. He is a proponent of the Nordic school of human-centred design, a stance which he has used in his work for clients including Nokia and Nortal. 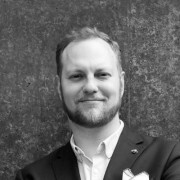 Throughout his decade-long career in digital marketing at Wunderman, experiential strategy at boutique Nordic branding agency N2 and information technology at Baltic giant Nortal, Erik has seen how the field of creative concept creation shift towards a more data-driven, personal approach for customers, businesses and citizens. 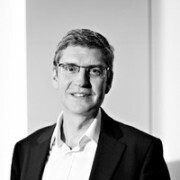 James Wycherley joined the Insight Management Academy as CEO in May 2015 after 10 years as Insight Director at Barclays Bank. He is an expert on insight strategy, analysis, and communication, and benefitted from 12 years as a client of the Insight Management Academy before joining it. 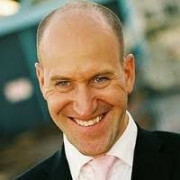 He has delivered consultancy and keynote presentations in Europe, North America, Australia and the Middle East. Aidan is a business and performance psychologist, mentor and coach with Carter Corson. He previously worked for a number of years for Chimp Management and is one of only a handful of people, worldwide, trained personally by Professor Steve Peters in the innovative Chimp model of performance psychology. 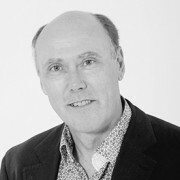 He applies his wealth of experience and understanding of neuroscience, behaviour and psychology with clients from multi-nationals to SMEs and individuals; working with CEO and boardroom level through to front-line operations, and clients including emergency response teams, retail giants and athletes amongst others, helping them achieve their goals. 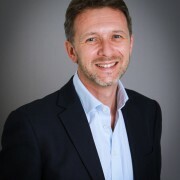 With a reputation for high quality, high impact performance psychology, he deploys a client and person-centred approach and robust needs analysis to inform his work, whether delivering large-scale conference keynotes, facilitating workshop programmes or conducting one-to-one mentoring with clients. Prior to working full time in the field of psychology, Aidan spent 14 years in a variety of challenging roles in the public sector. In each of these fields he applied his academic and vocational training in psychology to solve occupational challenges from reducing offending, to stress management and managing boardroom and team conflict. 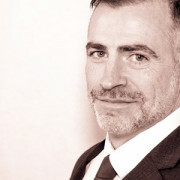 Aidan’s unique blend of occupational experience and academic training has equipped him with an array of skills which supports his desire to make psychology accessible to all, and to assist individuals, teams and organisations to manage stress and change, cooperate and communicate effectively and to achieve successful outcomes. Gethin is a psychology graduate who has been helping some of the world’s largest organisations to improve their employee experience for more than 15 years. The last 7 years have been working as part of the senior leadership team at Benefex – the UK’s leading provider of employee experience technology. As a frequent writer and speaker on employee experience and employee wellbeing, Gethin has been featured in The Guardian, The Huffington Post and The Financial Times. Gethin is also the author of the Amazon bestseller ‘A World of Good: Lessons From Around the World in Improving the Employee Experience’. 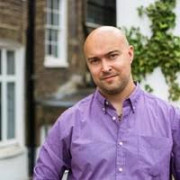 Simon is a Chartered Business and Consumer Psychologist and managing partner with the award winning psychological insight and behaviour intervention consultancy, Innovationbubble (www.innovationbubble.eu). Simon and his psychology team have worked with well-known entertainment organisations (BBC, Universal, CH4 etc) as well as global brands (Fedex, Ted Baker, HSBC, RBS, SpaceNK, Microsoft, Sony, Deutsch Bank, Aviva, HTC, Insurance, Ericsson, HSBC, Sony Music, TalkTalk, Virgin Atlantic, Bupa, Microsoft, Unilever, Roche etc), in relation to behaviour change (onboarding, trust, retention, online vs offline brand consistency etc). Simon is an author and regularly presents at international conferences on the hidden psychological influences on customers. He has acted as an advisor to the UK and US government. 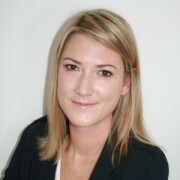 He regularly appears on the TV and radio and in the press discussing consumer psychology and behavioural intervention. Jonathan has over 25 years’ agency experience in the insight and brand strategy industry as a consultant, company director, entrepreneur and angel investor. He has co-founded two successful consulting agencies (Clear & Mash) and worked with some of the world’s largest businesses and brands. More recently Jonathan has founded Discover.ai, a tech driven start-up in the market research space that harnesses the power of machine learning to help businesses and brands be more agile. In just 1 year, Discover.ai has run over 70 projects for clients including Unilever, PepsiCo, Reckitt Benckiser and DeBeers. Marc is an insight & innovation specialist with 15+ years experience spanning R&D, marketing and consumer research roles, on both the client and agency-side. He is the Director of Strategy and Co-Owner of Brand Genetics, a global consultancy working with many of the worlds biggest brands to deliver human-centred insight and innovation. He is an award-winning speaker, wannabe mystery-novel writer and bank-roller of three rapidly growing-up kids.